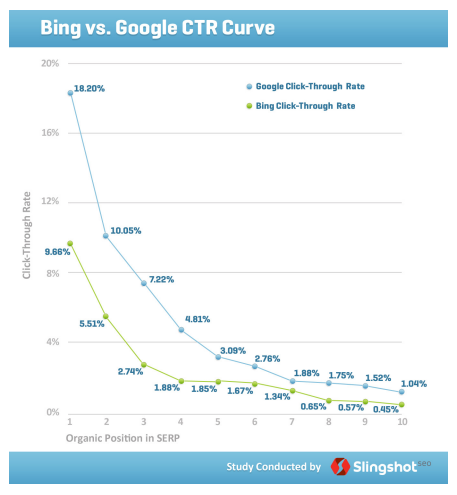 How does this correlate with SEO? According to Alexa, the most visited website in the world is Google.com, which is the giant of search machines. It doesn’t require deep thinking and meditation to understand that if Google is on top of the list, then the search is the heart of the web. If you are in any form of business, people don’t go to Social Media to look for you. You may be found on those platforms but the primary reason of uses there is simply social interaction. On the other hand, potential customers who are actively looking for you are found on search engines. That’s why it’s crucial to turn to this channel. 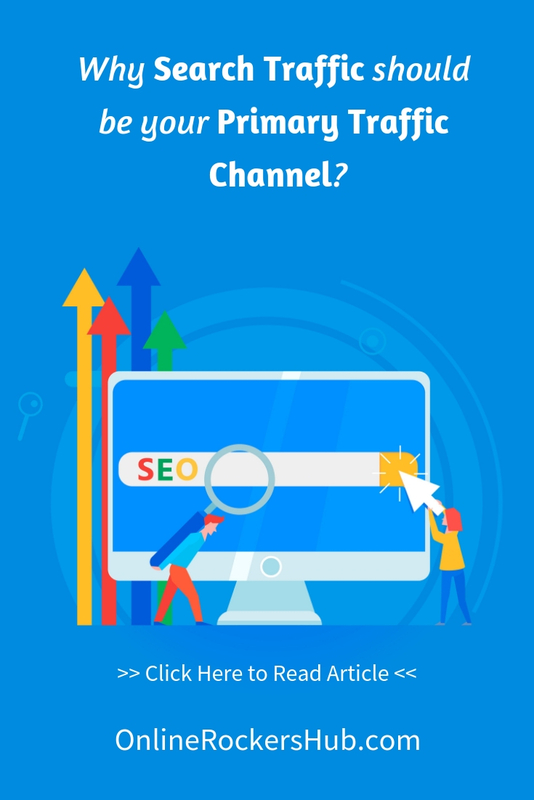 There is absolutely no doubt that if you get your entries to top search result pages, you are going to experience outstanding growth and conversion (all things being equal). But Search Engine Marketing isn’t bread and butter at all. By the time you think you’ve gotten a hold on something, the players will be coming up with something new and disruptive. 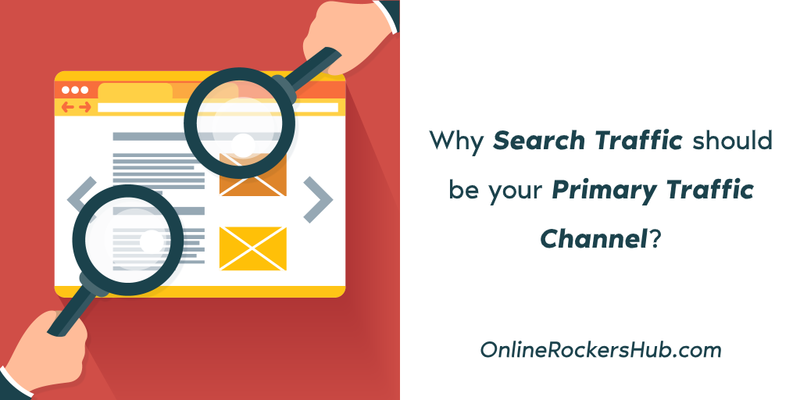 One of the things that characterize Search engines is change. To rank and maintain your position, you need to constantly update and upgrade. But there are a couple of things that are carried along. Let me briefly mention them to guide you through. Keywords are the factor that powers search engines. That’s the only way Google can know what the searcher wants. Whether it’s voice or text search, the engines try to match the keyword with content in their index. While searchers may not have changed their keywords over the course of time, Google has remarkably changed the way it finds information to answer searchers’ questions. We’ve had different Algorithm updates shaking the search industry. RankBrain (a major update in 2015) is a complete overhaul of the ranking method based on artificial intelligence. In those early days of search, optimizing your content for specific keywords was a big step towards ranking on page one. While keyword research is still the core of search engine marketing, you need to switch to topic optimization commonly known as Semantic SEO. Search engines no longer seek to understand keyword density and position in your content. They strive to understand the topic you are writing on. It’s now about if your content meets the intent of the searcher not about if you have the keywords in your Title, Meta Description, Introduction, Image Alt, Headings, etc. Doing keyword variations and synonyms won’t work either. Semantic Web is the next web. Your site load speed is a key SEO factor. It reflects how quickly your website responds to web requests. A slow page speed means that search engines can crawl fewer pages on your site. This could negatively affect your indexation and ranking. Slow load speed also triggers high bounce rates. According to Neil Patel, 40% of people abandon a website that takes more than 3 seconds to load. So you see the importance of not neglecting your site’s load speed. Content Marketing is simply using content to market your business. You are actually using content to drive traffic to your business and generate leads and then sales. Why should a reader on SERP click my entry? Why should someone on my site keep reading my content for 6 minutes? What’s in that will cause my readers to share my content with their followers? What is it in my content that will be the takeaway point? How does my content help solve my readers’ problems? What is in this content that will keep my readers coming back? These and many more questions should be answered in your blog posts or videos. If your readers don’t find value in what you produce and publish, you would have wasted your resources. Search engines are all about showing relevant and helpful results to searchers. Now, searchers have a way of behaving on your website that sends signals back to search engines. Google and other search engines can interpret when your readers are not satisfied with your content. They will know you are not just the right person to rank on page 1. So they (the search engines) will react by taking you away from the high position on SERP. When readers click to your article and quickly bounce back (pogo-sticking) or click to close your page or when your dwell time is too poor, etc, these are signs Google can quickly understand that something is not right. When your content is epic, it attracts more clicks and social buzz. These, as you know, are ranking elements that must be taken with seriousness. Backlinks are links pointing back to your site from other sites. In today’s SEO, it’s still one of the top ranking factors. In my opinion, it’s one of the reasons SEO is being seriously messed up. Some content marketers have engaged in black-hat SEO just to get these backlinks. The reason is that more backlinks generally boost your rankings. But some links are toxic and I will explain this below. If you ain’t careful with building backlinks, you may ruin your SEO backlink profile. We need those inbound links but not all those links carry benefits. Some are highly wrecking. Avoid links from penalized domains. They will only transfer penalties to your blog. Links from domains with high Citation Flow should be shunned. Rather go for links from a website with good Trust Flow. Be careful about buying links. A quick way to throw your effort into the sea is to buy links from Fiverr. There is no way you can trust such services. They may produce some short terms of search boosting. But trust me long term effects are more than 95% disastrous. Working with Link building agencies is another dangerous game. Most of these agencies end at nothing to get unqualified links to your domain. Some services, however, are trustworthy. I was speaking with my friend, Sunil Gupta of Trafficora who made me understand the dangers in the industry. We’ve briefly touched on Search engine traffic. Let’s quickly look at other sources of traffic to your site you should add to your basket. There is no way we can avoid social media marketing in trying to gain online traction in our days. One of the reasons is because the third most visited website worldwide is a social utility that connects people. People go to Facebook, Twitter, etc for social engagements. These platforms were designed for that purpose but with time, they have been equipped with features that help users pull traffic. Not only do we share jokes, party or birthday pictures, etc. We do also share links and benefit from some amount of clicks. Using Social media business features like Communities, Groups, and Fan pages, we can go beyond mere social and completely build an online business marketing solely on Social Media. Are you building a list for your business? Email Marketing is a huge way to create an active marketplace. Each time I mail my list, there is always a spike in traffic and this is true for most email marketers. Your list is an asset. It’s the only source of traffic that depends on your policies. No third party system decides for you. Yes, I understand email marketing platforms always lay down terms to guide the activity. But they won’t for any reason freeze your list. Google, Facebook, Twitter, etc have done changes that have completely destroyed many online businesses. Once you have your email list, the only thing you’ll need is a tool to send out campaigns. So don’t neglect to build a list for your business. Referral traffic is traffic you get from clicks on your links on other sites. For the most part, you’ll get this from your links on guest articles, relevant mentions, and comments. If you click this link (for instance) to my blog, I’ll get a referral visitor from onlinerockershub.com. Now, this is beautiful because you can really provide value to other blogs through guest posting and get huge traffic benefits. Marketers who are fun of dropping relevant and meaningful comments on related blogs would tell you they have experienced great traffic from this activity. If this is something you neglected in the past, put in on your list of strategies this year and beyond. I didn’t want to mix this up with Social Media because there is little of engagement and social interactions on this platform. Pinterest was specifically designed to drive traffic. Unlike Facebook and Twitter where people read posts, drop comments, share and like, Pinterest audience focuses on clicking the pins to discover the content on external location. It’s a huge source of targeted exposure for many marketers. Building your Pinterest audience is not as complicated as other social media platforms. Marketers use Tailwind app to maintain their Pinterest schedule with few clicks. Like with any other platform, you have to learn its ins and outs. But trust me, with over 300 million members worldwide, it’s worth giving a try. Go try out Pinterest here. Your success online highly depends on targeted traffic. While you may want to spend on paid traffic, free traffic is always a gold mine though with a lot of work required. 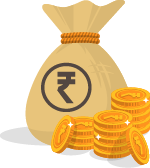 Any paid source of traffic will completely dry off as soon as you run out of funds. $1000 spent on Google Ads may produce some short term results. But spending that amount on some averagely popular blogs with good SEO profile may generate long term traffic and SEO benefits. Let me know from you in the comment box what you think. Do you get traffic from Search engines? Which other traffic channel works for you? Note: This article on Search Traffic was contributed by Enstine Muki. If you an interesting and useful article like Enstine had, then check my guest blogging guidelines. Any thoughts on Quora as a platform to deliver traffic? I have tried to make Quora as a good traffic source. But, often the Quora moderation or someone else remove our link, saying it looks promotional. That’s the only problem I have seen with Quora. Thanks for your sage comment & advice Nirmal!